If the design of your building calls for something other than raised plates, find a variety of alternative products in our selection of metal low profile RJ45 wall plates. 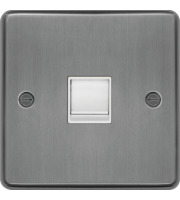 At Direct Trade Supplies, we stock slim-line metal wall plates that enable you to power up your LAN with ease. 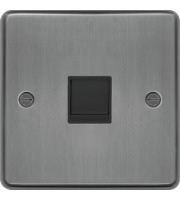 These stylish fixtures are affordable and low maintenance, perfect for use in a variety of applications. 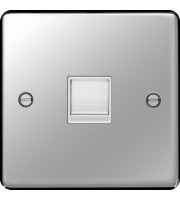 We carry both moulded white and metal low profile RJ45 wall plates to give you plenty of options when it comes to installing wall plates in your property. 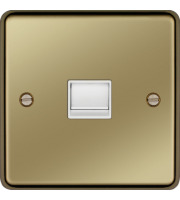 The slim, shallow design of low profile metal plates means they work well if you don't want to have any raised, obtrusive electrical components whether it be for style, safety or space-saving reasons. 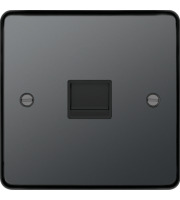 Shop for single or double-port metal low profile RJ45 wall plates at Direct Trade Supplies. 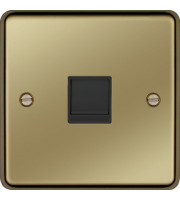 These wiring devices are suitable for use with Cat5E and standard Cat 6 cabling, and colour coded connectors enable you to wire up your ethernet quickly and safely. 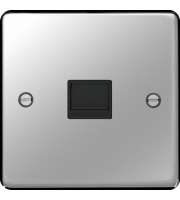 For an even more discreet finish, there are screwless metal low profile RJ45 wall plates available that can simply be pressed into the recessed fitting once connected to a simple, stylish finish. The metal materials are durable and long-lasting, plus they are easy to keep clean for low maintenance. Wire up the Local Area Network in your property with confidence using the right tools and products from Direct Trade Supplies. The metal low profile RJ45 wall plates we carry are the best on the market, and are available at low wholesale prices to help you save. Shopping with us is simple, as we carry all of the products you need in one place. 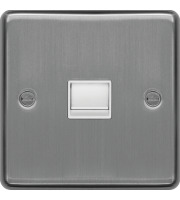 Better still, we offer further discounts on large bulk orders to help British businesses and tradesman save even more.